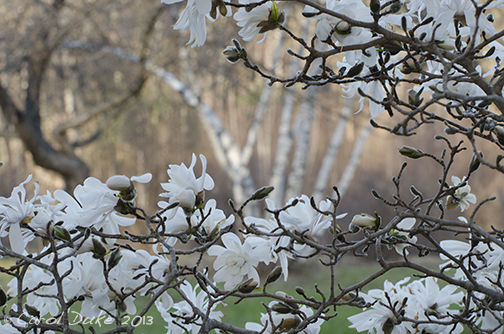 Magnolia stellata’s primitive multi-petaled, milk-white and blush-striped blooms are the first flowers to fully unfurl within our garden shrubberies. 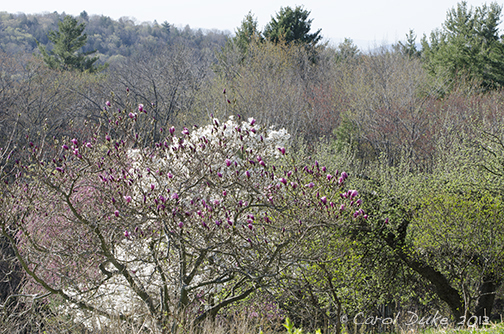 Eighteen petals fall free of their furry calyx, multiplied by hundreds, to paint this small tree brightly. She stands along our second terraced garden stretching easterly amongst sentient statues of Apples and Birch yet to exhale their buds at the time these photographs were taken. 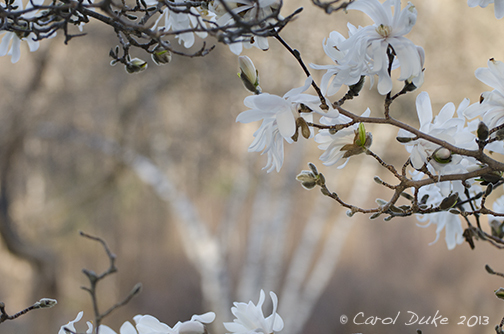 A gift of Peace from Japan to the United States, Magnolia stellata’s tiny white flags quietly wave with the wind and her presence on our hillside offers a placid passage from the snowy chill of winter into the riot of warmer colors to come when spring’s breath covers the landscape. I love to sit beneath the many stars and look towards the other trees nearby. 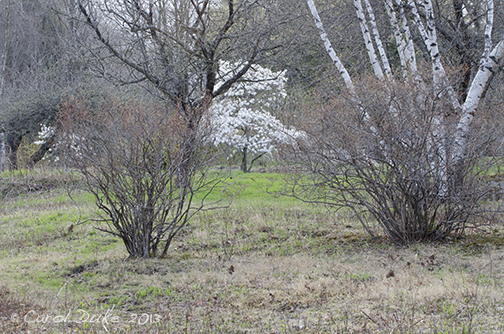 Grey Birch and one of the Apples of our ‘Gateway’ in the blueberry fields. Our oldest Apple above and below. 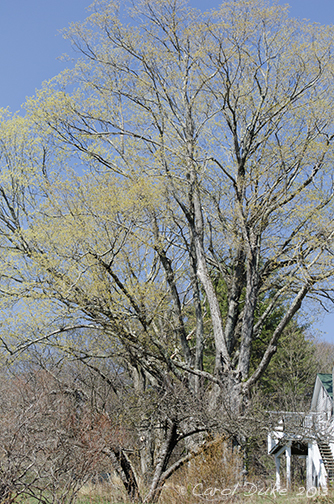 A Shag-bark Hickory stands in the upper garden. 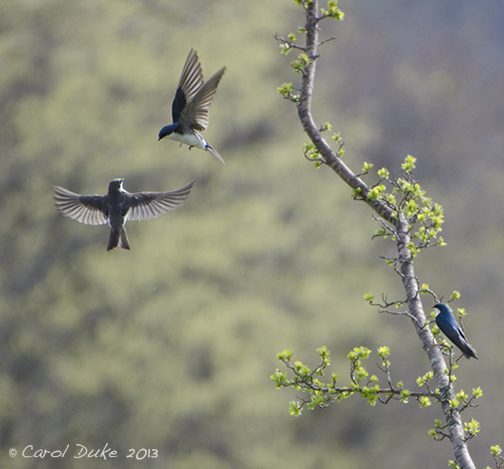 Tree Swallow calls, songs and duets fill the early spring sky with grace and gurgling as females wrangle. Looking up from the blueberry field, where within the heath this day . . . I eyed an Eastern Pine Elfin. 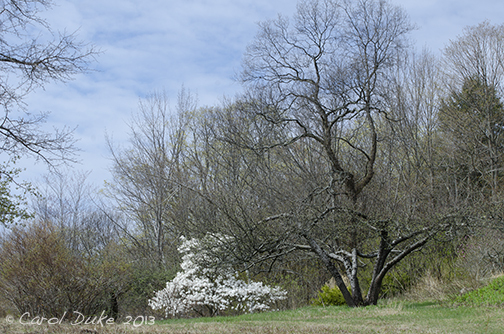 To the left before the ‘Star’ Magnolia, one of the Apples of the ‘Gateway’ stands and the other is featured below with stellata blossoms in the background. 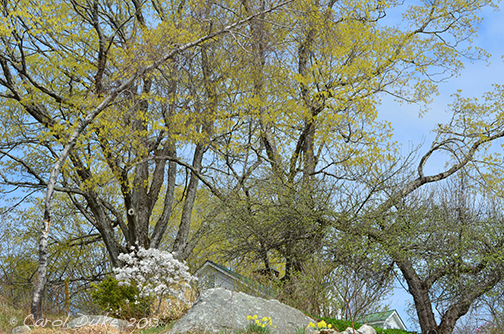 A one-hundred year old Apple is dwarfed by the two-hundred year old Rock Maples. 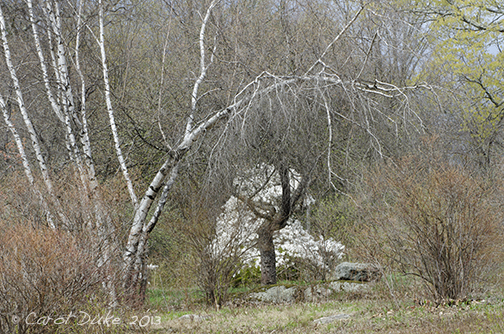 Another Apple in the rock garden near a smaller stellata seems diminished by the giants. 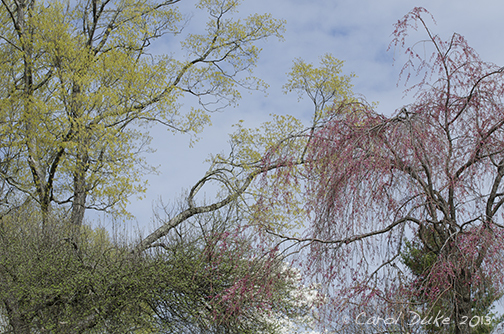 Crown of Apple, Rock Maple and stellata merge into pink weeping cherry. 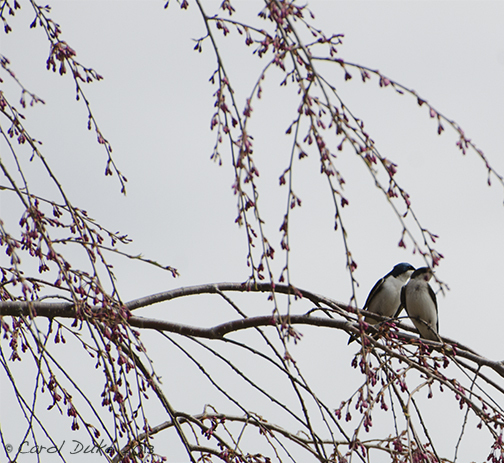 Tree Swallow couple’s favorite cherry branch perch. 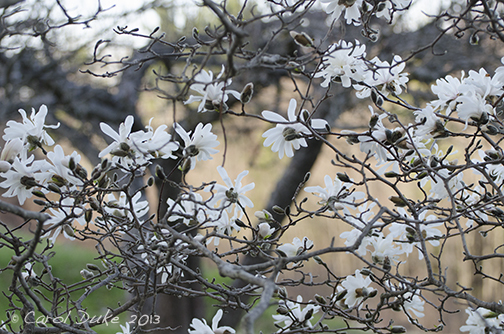 When the Magnolia stellata is fully blown open . 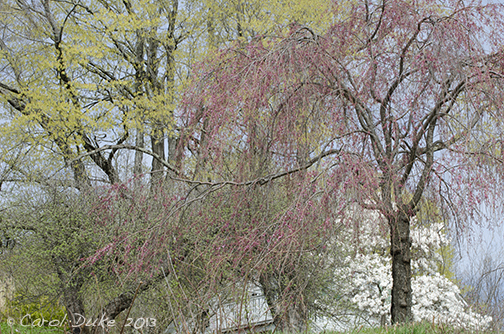 . . other buds begin bursting too. 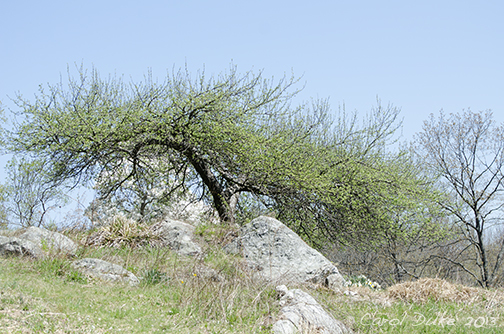 Still needing more pruning, the ‘bonsai’ Apple spreads over the large boulders of the old rock garden. 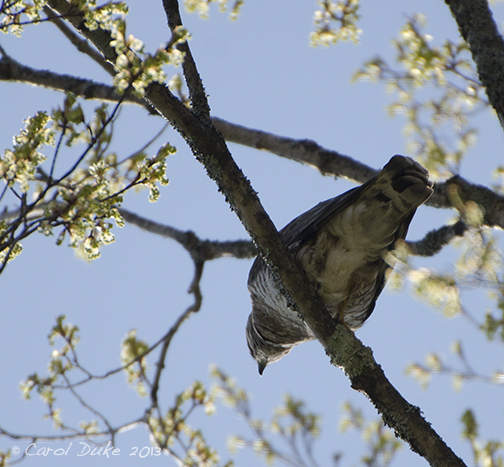 Spring is filled with song and alarm calls from hundreds of birds. 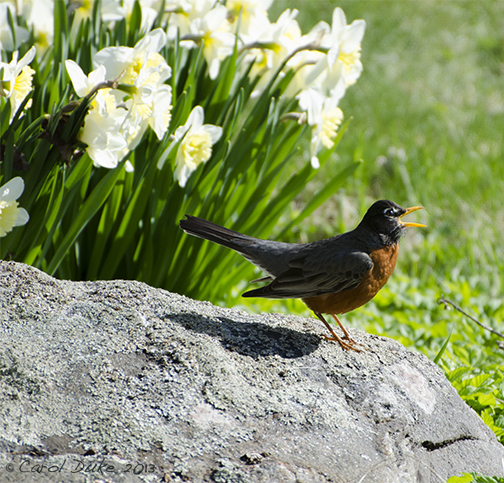 I noted this robin’s frightful clamor and took camera and self out to see what was the matter. Going towards the direction it was eyeing I found the reason for its piercing notes. It is always good to listen and watch what goes on in our gardens. 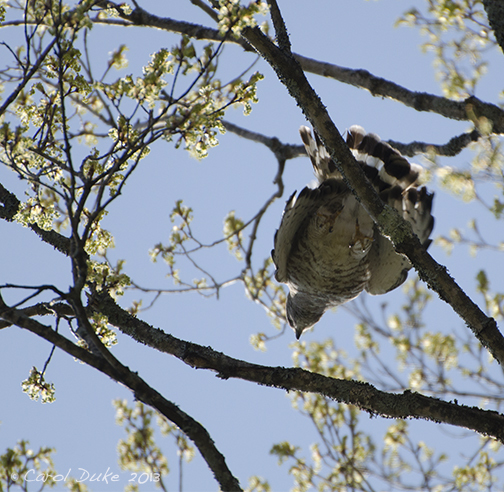 A Broad-winged Hawk perching high up in one of the Rock Maples. 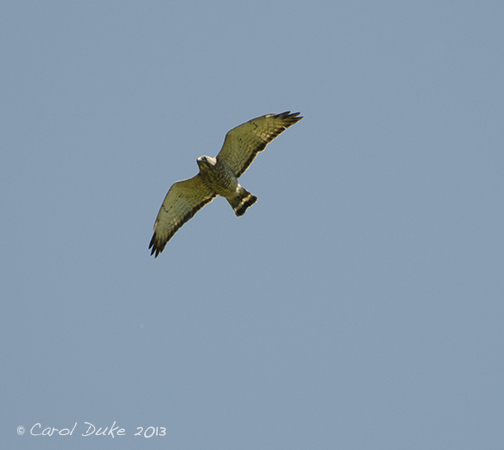 A buteo who fancies small mammals (most welcome to our voles and rabbits!) and birds is a just cause for fright from a robin. Times seems to fly by so quickly these days . 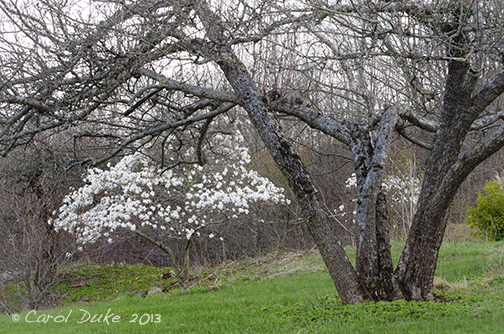 . . spring is in full dress here now and next I will share the Apples all abloom. I took a break from my gardens and went to the ocean for a week repose and when I returned hundreds of birds had returned too . . . only instead of my being here to greet their return they wondered at mine. I felt lost for a bit but back on track and will not make the same mistake of going away at such a magical time again. I must learn how to simply relax here in my own realm. Sound familiar?